The Zero Energy Game Show! 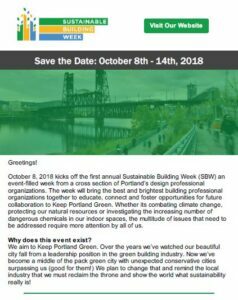 As Oregon prepares for a future full of zero energy building, designers must equip themselves with facts and technological know-how to encourage our clients to address global climate change. 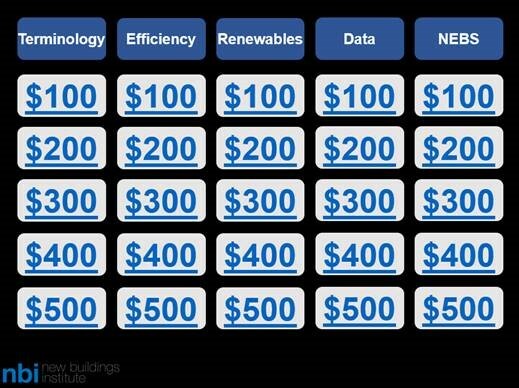 In a fun game show format, New Buildings Institute staff will educate and test attendees’ ability to quickly recall information about ultra-efficient buildings and renewable energy systems. Come prepared to eat pizza, join a team, and face-off to test your knowledge about zero energy and high performance buildings!